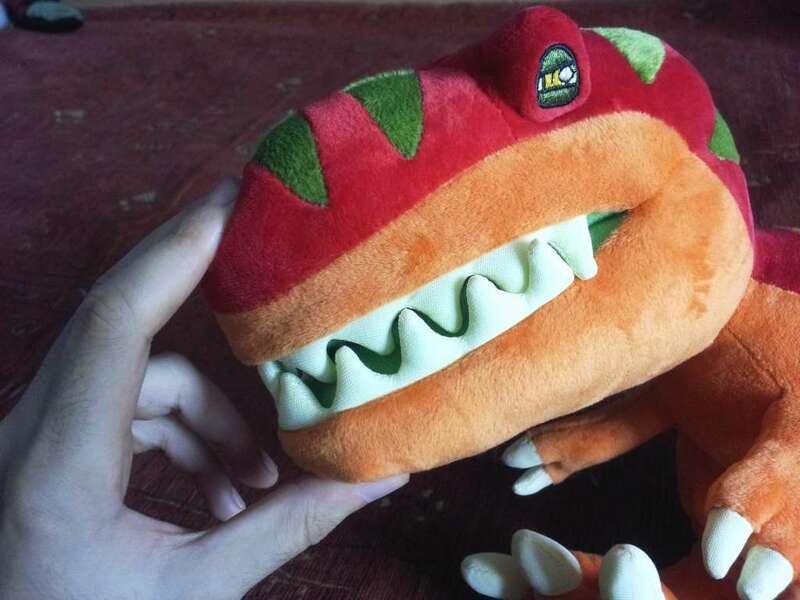 Jungle Plush is a young toy company specializing in the design of stuffed dinosaurs. Their first one is the iconic T-Rex and we have it for a special full review! That’s right! StuffedParty is entering the world of full toy reviews! 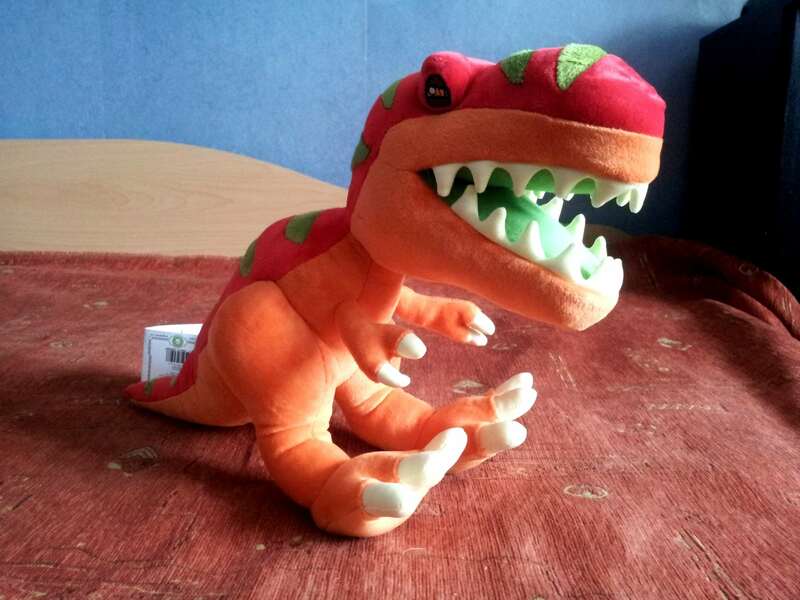 Of course stuffed animals will be our primary focus and we are thrilled to have Jungle Plush’s T-Rex as out first ever review! There are more to come as well, but for now, let’s get on with the review of the Jungle Plush Tyrannosaurus Rex! Jungle Plush is still a very young toy company. 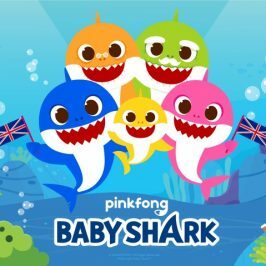 It is based in London, UK and had an initial funding through Kickstarter. It already has two stuffed dinosaurs on the market – the T-Rex and the Apatosaurus with at least two other dinos already nearing completion as well. 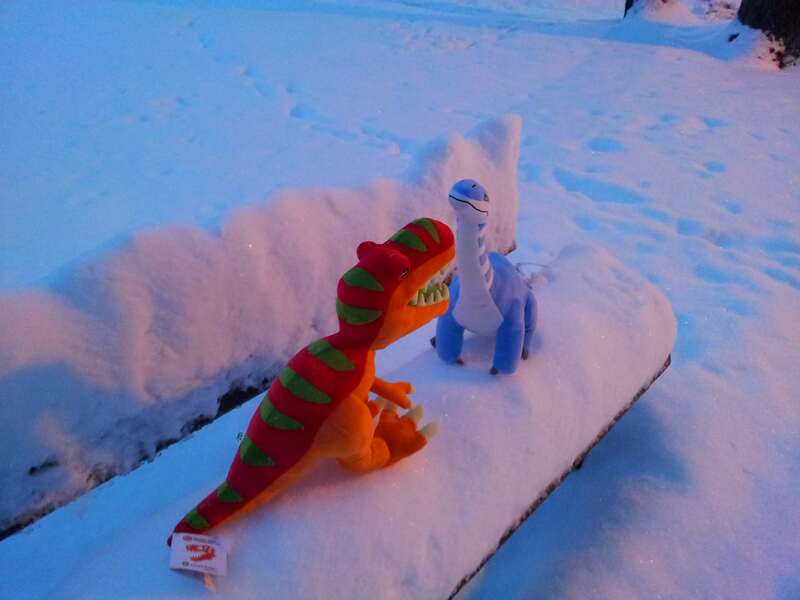 We love stuffed dinosaurs so when the company contacted us asking if we were interested to review their toys, we literally were jumping with joy. So, the T-Rex is sitting on the desk as we speak. Also check out our quick video review of it below. Now it is time to get serious for a little bit and see what’s what. Being Jungle Plush’s first toy, the T-Rex has a big responsibility. It has to be very good in order to establish the company. Coming in at 19.99 British pounds or about $28 the T-Rex lands in the lower-middle price range. Keeping in mind that this T-Rex is about 19 inches from head to tail, you get a lot of dinosaur for the money. 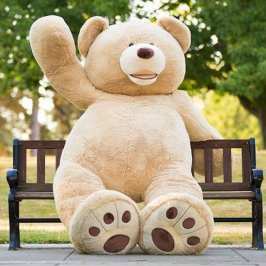 This is good as we love stuffies that you can hug. 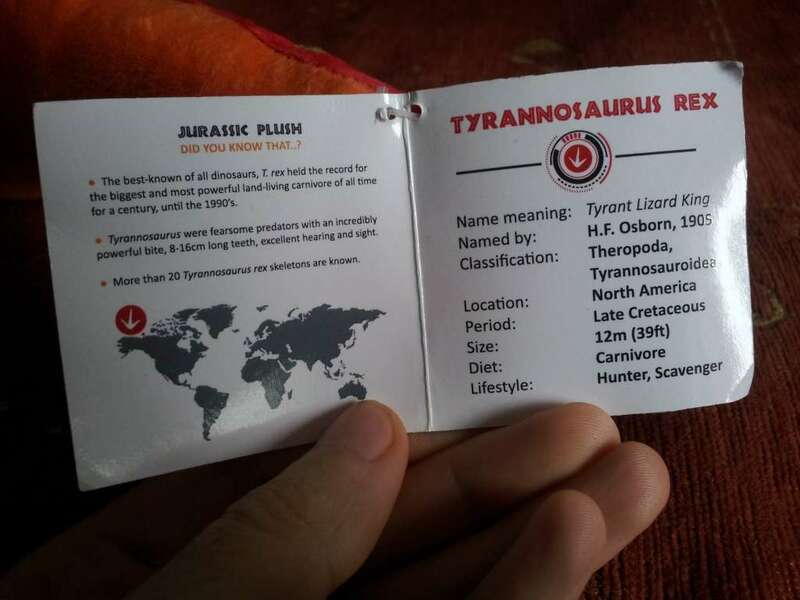 The tag with extra details and information about the real animal that each Jungle Plush toy has. The real T-Rex is regarded one of the scariest and most vicious dinosaurs. 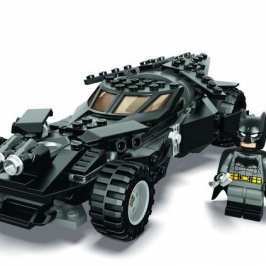 It is also one of the most popular due to its several Hollywood movies that it has appeared in. The question is how to make it kid friendly while keeping all of its iconic features? 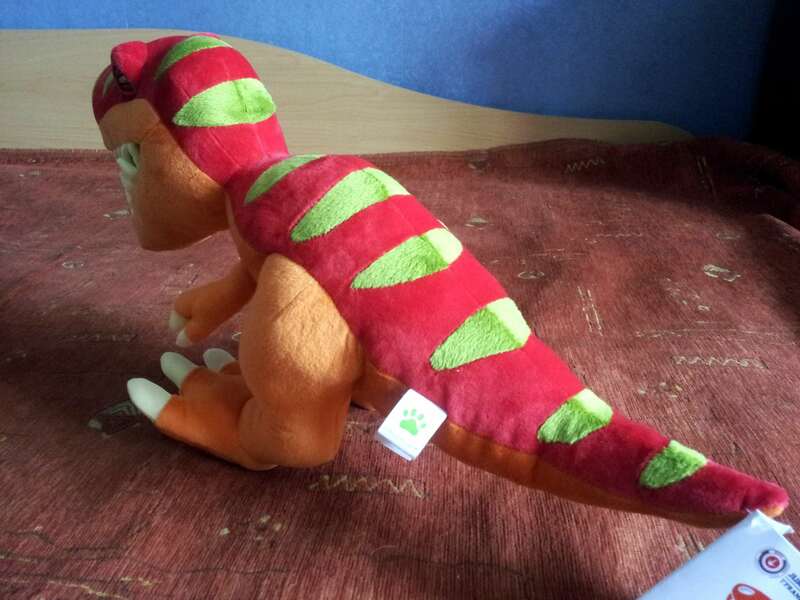 This is where Jungle Plush have managed to find the perfect balance by keeping all of the T-Rex’s feature, including those huge scary teeth but also making the dinosaur look cute and friendly thanks to brighter colors. This way you get an accurate representation of the real dinosaur but with a more welcoming look and feel. While we have never seen or touched a real T-Rex, we are pretty sure it wasn’t as soft and as cuddly as the Jungle Plush T-Rex either. 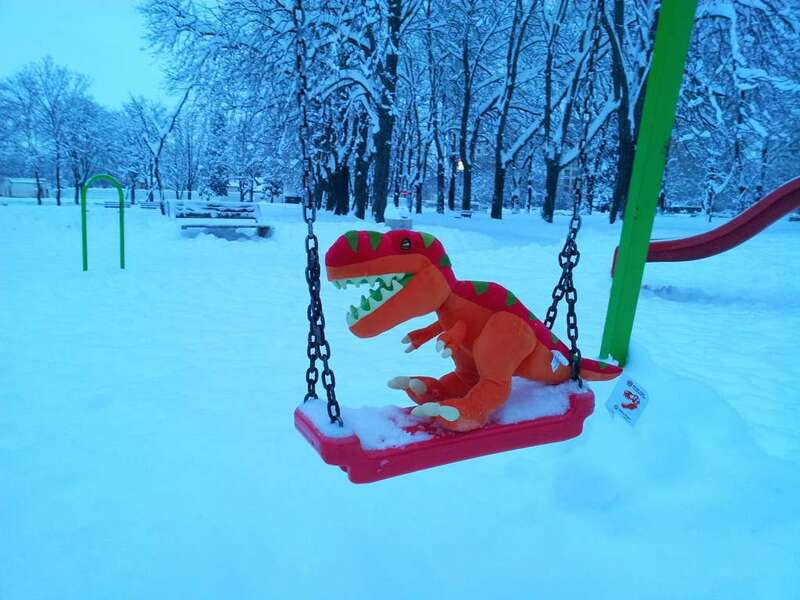 The toy is made with brand new materials and features very soft fabric which makes cuddling with the T-Rex a pleasure. It is CE certified and suitable for all ages. What sets this stuffed dinosaur apart is the attention to details. The claws and the teeth are made out of different, sturdier fabric to better represent them and to feel more realistic. The inside of the mouth of the T-Rex is also made with a harder fabric. Speaking about attention to details, if you gently squeeze the mouth of the T-Rex in order to close it, you will see that it’s teeth line-up perfectly. This is a dinosaur that regularly visits its dentist. All features of the dinosaur are embroidered on and there are no detachable parts. This makes the toy safe and suitable for babies as they can’t swallow anything, unless they tear the dinosaur to pieces. This though is going to be a challenge, since the Jungle Plush T-Rex is very well made. The seams are sturdy and the stuffing is able to hold its shape very well. 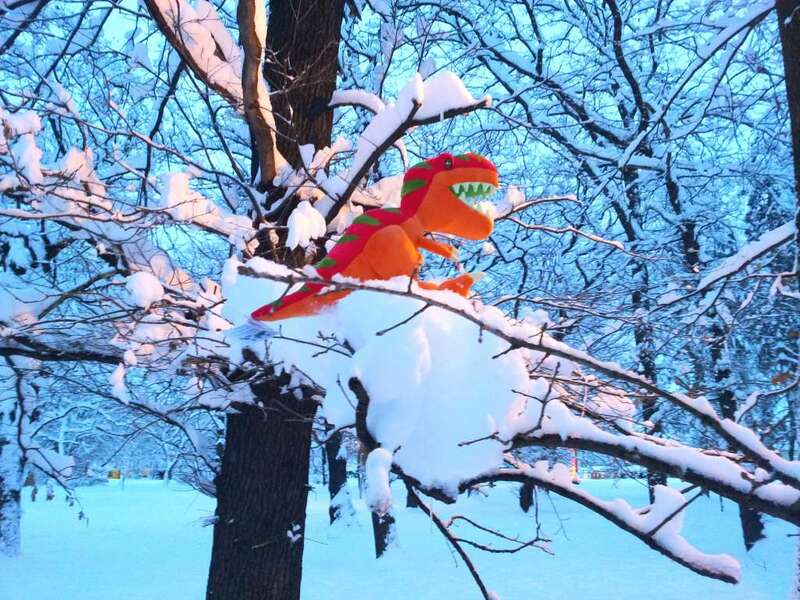 We looked very carefully for possible issues, but at least our review T-Rex has none. 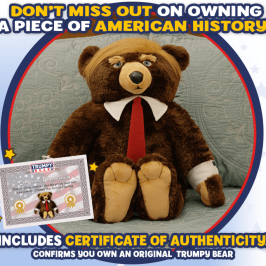 It is a very well made stuffed animal which lives up to the expectations. 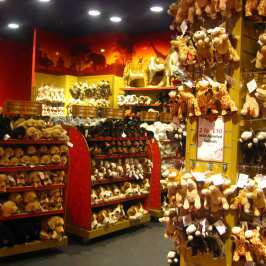 It also sets the stage nicely for Jungle Plush and gives the company a promising future. A teaser for our next review. Overall, this is a stuffed dinosaur that we like a lot. If you want to find out where to get it, check out the Jungle Plush website. Also stay tuned for more reviews of stuffed animals on StuffedParty.com as we are just getting started!